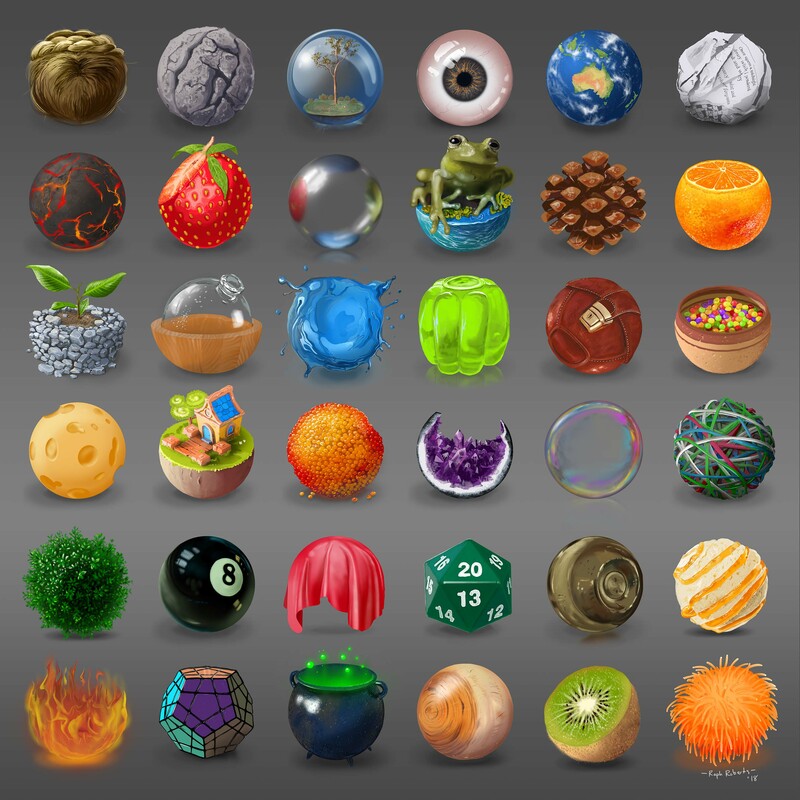 A series of round objects (texture studies and material studies). Each is digitally painted in Photoshop using a Wacom Cintiq Pro 16. Note: the image is quite large so may take a while to show. Hype is the new Flash? © 2019 Raphael Roberts All Rights Reserved.